Air Dynamics provides more than just heating and cooling services! Learn more about our many additional home services including Wi-Fi Thermostats, Water Heaters, Air Filtration System, UV Lighting Systems, ERV & HRV Systems and more. Control your home’s climate from anywhere. 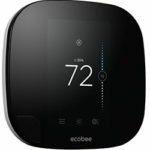 Wi-Fi Thermostats allow you to set your home’s temperature from your phone or computer and saves you money by learning your temperature habits. Air Dynamics can help you set up a new Wi-Fi Thermostat and get you started with energy efficient savings. Water Heaters are just as integral part of your home mechanics as furnaces and air conditioners. At Air Dynamics Heating & Cooling are expert crew can help repair and maintain your existing water heater, or help you install and replace your old water heater. 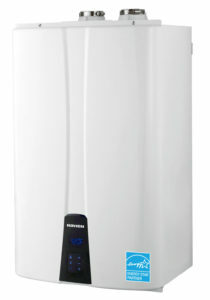 We feature high quality Rheem Water Heaters. Keep the air in your home clean and your family healthy all year long. Air Filtration systems can help sift through dust, dander and pollen solid particles, helping those with allergies and respiratory issues. Our talented crew can install an Air Filtration System next day and get your home’s air clean and healthy. UV Lighting Systems can further enhance your home’s air quality. 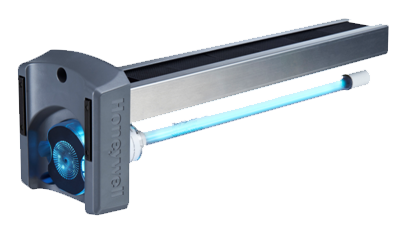 These lighting systems, similar to those implemented in hospitals, provide extra protection against mold, bacteria and other air impurities. Air Dynamics Heating & Cooling can install these lights alongside your air conditioning unit to provide additional protection and purification. Heat Recovery Ventilators and Energy Recovery Ventilators help properly ventilate and provide consistent fresh air to your home or business. Heat Recovery Ventilators replace the energy from stale, stagnant air with new, fresh air. Energy Recovery Ventilators uses the energy from stale air to help remove humidity and bring in fresh air. Learn more about ERV & HRV systems by speaking with any of our expert crew. Low humidity can cause health problems, such as sinus infections, and can also damage furniture, wood flooring, cabinets and other expensive parts of your home. Having a whole-home humidifier added to your heating and cooling system will provide 24 hour, perfectly humidified air to every room in your home.